This is quite an intriguing set. It’s four extended instrumental pieces, all built around classical music. With that classical concept, one might expect an extremely symphonic sound. That’s true of some songs, but not all four of the pieces. Indeed, there are some moments here that clearly rock. However you slice it, though, this is exciting instrumental progressive rock. There’s a real symphonic edge to this piece as it starts. When the guitar joins it really has an almost Brian May like sound. The piece builds and works through recurring themes. It grows and is an exceptional powerful performance and arrangement. This is very classical in nature, but there’s enough rock here to make it fall firmly into the “progressive rock” heading. It gets sections where it seems to stop and then build back out from there. Sections of this resemble some of the progressive rock that came out in the 1970s. In that aspect, certainly Emerson Lake and Palmer is a valid reference point. Still later it works to something more classical before getting into a segment that’s almost Yes-like. While this tune starts out in much the same symphonic progressive rock sound as its predecessors, it moves out later into something more akin to blues and rock music. There’s some smoking hot guitar soloing in this tune. Whereas a lot of the guitar playing on the opener called to mind Brian May, this time around Ritchie Blackmore would be a good comparison. Yes, this one rocks out that much more. There’s a great blend of symphonic progressive rock sounds and hard rocking guitar. This one seems a great combination of the soundscapes of the first two tracks. There is definitely plenty of classic progressive rock built into this beast. Here’s a more purely guitar based number. 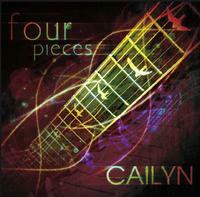 It’s got some classy musical elements and textures produced by the guitar weaving lines of melody. It’s not that far removed from the rest of the set, but does serve as a fitting closing piece.